As a senior director for Thomas/Boyd Communications, Lauren is responsible for the development of various communications initiatives for the firm’s diverse client base – from highly targeted media relations work to the launches of strategic digital communication campaigns. She helps provides strategic counsel in identifying clients’ public relations and marketing needs and manages the execution of such strategies. Lauren regularly partners with national, regional and local media to secure strategic media placements and opportunities for client in print, digital and broadcast outlets. She also manages the distribution of news releases, feature articles, calendar event announcements and media advisories to secure placements for clients. Lauren also develops content and coordinates the production of newsletters, annual reports and various marketing collateral materials and assists in the development of advertising copy, as well as the buying and placement of those advertisements in targeted media outlets. She is also frequently called upon to assist in the development and execution of online and social media initiatives – including monitoring feedback, developing content, coordinating social media advertising buys, utilizing content management systems for websites, leading the development/redesign team for websites and copywriting for newly redesigned/developed websites. 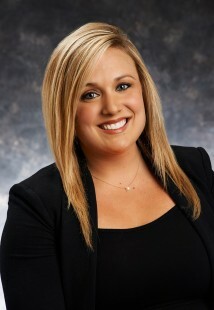 In 2007, Lauren joined Thomas/Boyd after completing an internship with the agency. She graduated from Syracuse University’s S.I. Newhouse School of Public Communications in 2007 with a Bachelor of Arts degree in television, radio and film and a minor in business management.